I’d be lying if I was saying I was a totally laid back person, I’m not. I am passionate about many causes and I am not afraid for my voice and opinion to be heard. However, one thing that really goes beyond just having an opinion about and just makes my blood boil is people parking illegally near a school entrance. Over the past few years, I’ve lost count of the number of cars parked on the zig zags. 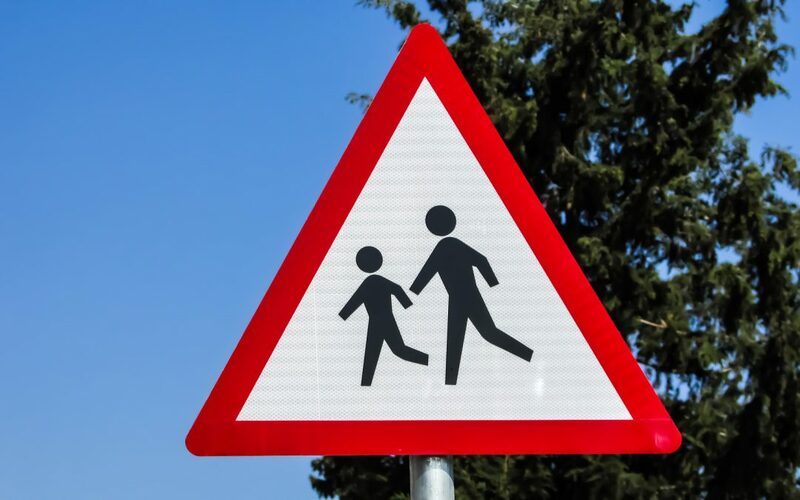 The school is actually a dead end, so I often witness parents having dropped their darlings RIGHT AT THE GATE, then 3 point turning in the road where both primary and secondary children are walking, scooting and cycling into the school: It’s an accident waiting to happen. Just recently, a friend and I stood on the driveway having a natter, and someone actually reversed into it to turn around. Incredulous. There was clearly no concern for the safety of any pedestrians on the driveway. He was in a 4×4, so anyone under 4ft5′ just wouldn’t be seen … Mind you, that turn probably shaved two minutes off his journey home. What can we do to stop it? Our school is brilliant at sending out reminders and we as parents actually went and spoke to offenders and gave them information on why it was so dangerous: This had a mixed response as you can imagine. I was on my bike with one offender who tailgated me to the end of the road telling me I was a danger on the road … I just leave you to ruminate that one … Luckily, thanks to a proactive local councillor, a permanent barrier is being installed so unless someone opens it for, you aren’t getting through. This isn’t the case for many schools, as they aren’t in closed roads. 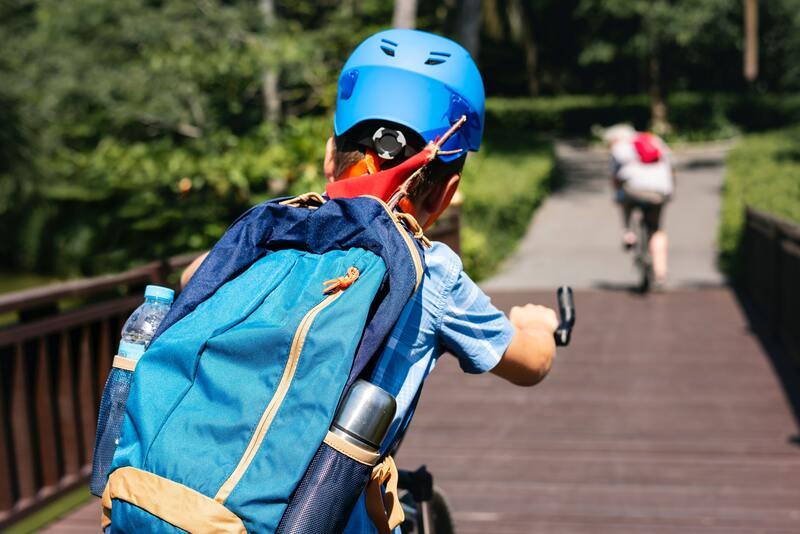 I was really pleased to see that AXA have drawn up a list of how to keep your own child and others for travelling to school safely. I personally think the most important thing AXA suggest is lead by example. I see so many parents flaunting the rules, however are the children meant to learn how to be safe when their parents are so blatantly not? Secondly, the school will have firm rules on parking – save a lot of grief by reading them and then abiding by them. They are there to protect the children after all. I now send my teenager off to school on her own, and something I had never given enough credence to was the colour of her coat. It’s so easy just to buy black, but in those dark winter mornings she’s actually better in a brighter colour. Lastly, Im a big advocate of bike riding, and we have often cycled to school. It’s an obvious one, but make sure the bike is road worthy and that you are all wearing a helmet. My own personal tip is that if you don’t have to drive for school, just don’t. 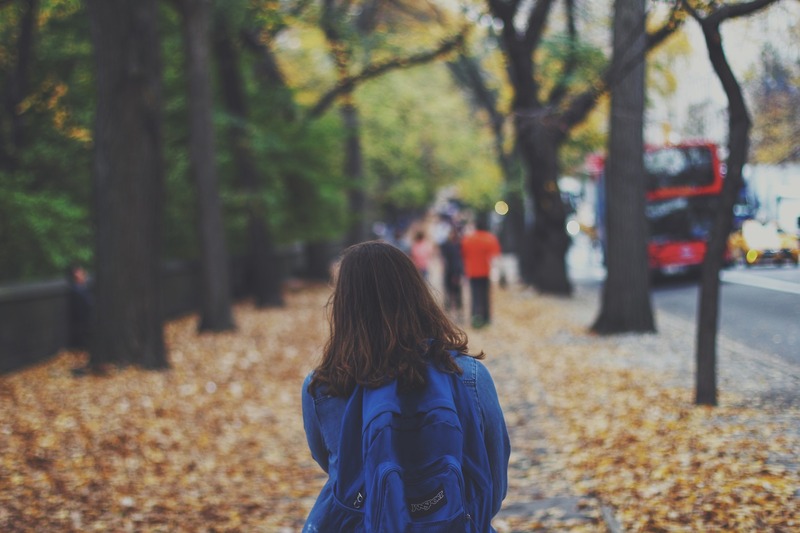 The roads are clogged up enough, and there are plenty of studies out there telling you that walking to school actually improves academic concentration. But, if you do, drive with enough time to park five minutes away, safely, away from the busyness of the school gate and walk your child those last few metres. By the way, dropping them on a corner is just as dangerous as parking on the zig zags. I’d love to know your tips on how to make the school run safer and by default, pollute the road by schools a lot less. Do let me know in the comments.